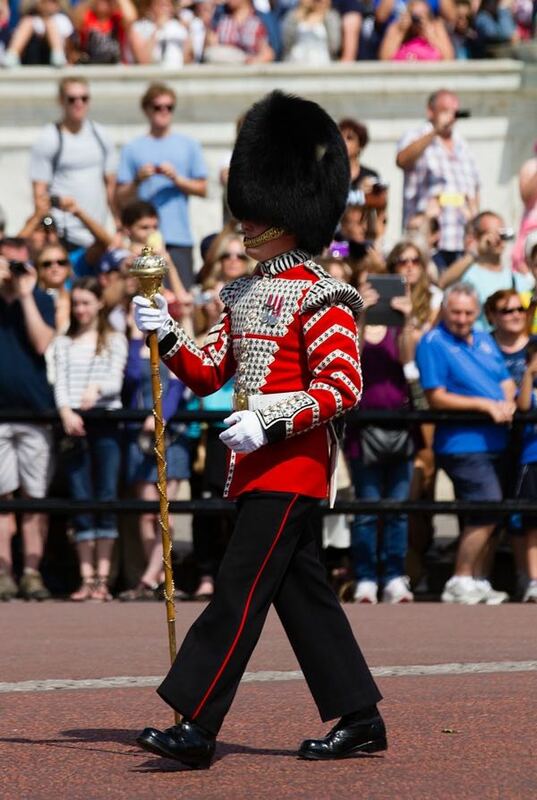 Where is the best place to stand and watch Changing the Guard in London? You will get many opportunities to photograph the Guards, but the best time is not actually during the Guard change ceremony. To the left as you face Buckingham Palace is best just after the ceremony. Before or after the guard change at Buckingham Palace. Want a picture standing next to a guard? 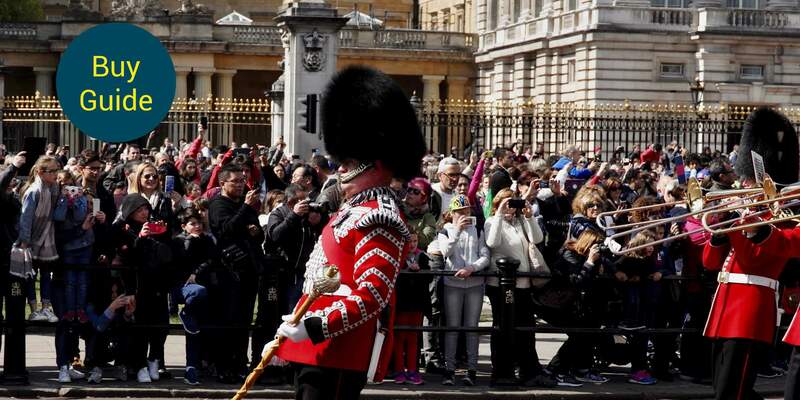 This isn't as easy as it used to be as Guards now stand within the grounds of St James's Palace and Clarence House. The best opportunity now is to go to Horse Guards Parade where you can stand next to a Queen's Life Guard. During the ceremony (at about 10.45am and again at 11.40am), the mounted guards will ride past, firstly going up 'The Mall' and then returning back down. In Horse Guards Parade, and in Whitehall, you can get a picture standing next to a guard mounted on their horse.